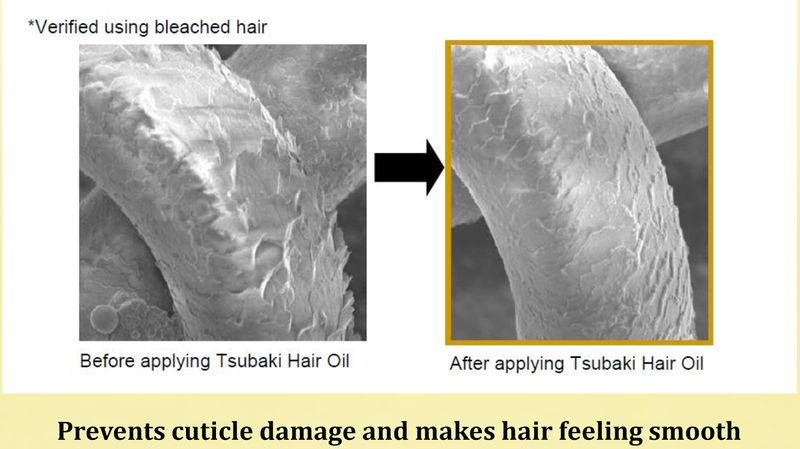 I am so excited to receive a bottle of Tsubaki Hair Oil as my hair is in a terrible mess, dry and is real bad condition. I have to say that I really love the bottle as it is very unique. The nice fragrance of the Camellia really wakes me up as it makes me feel fresh and I am in love with it. 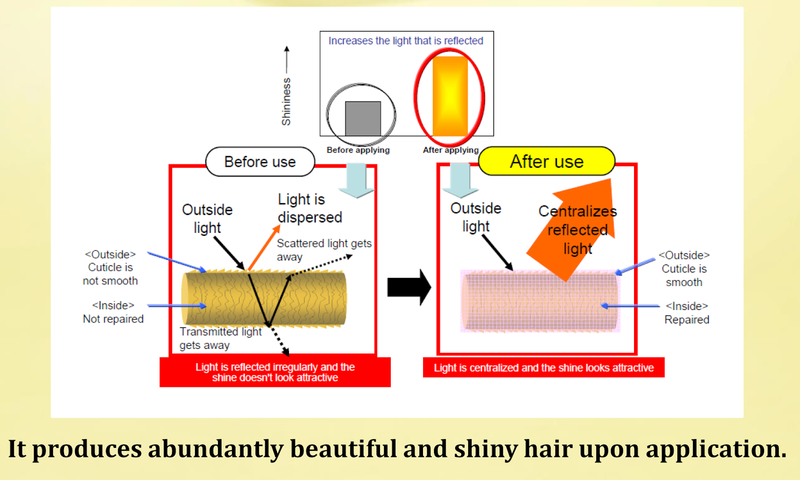 It has UV protection ingredient curbs hair damage (generation of oxidised protein) caused by UV rays. 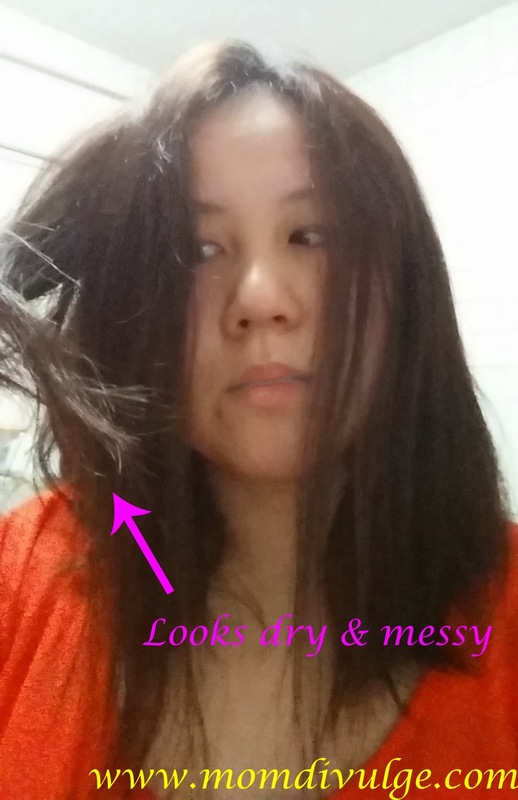 To prevent irregular application, spread half the appropriate amount (about 20-cent coin size for mid-length hair) onto the palms and work through the hair. Then, spread the second half onto the palms and focus on areas that require extra application. Refrain from applying large amount inappropriately and unevenly. 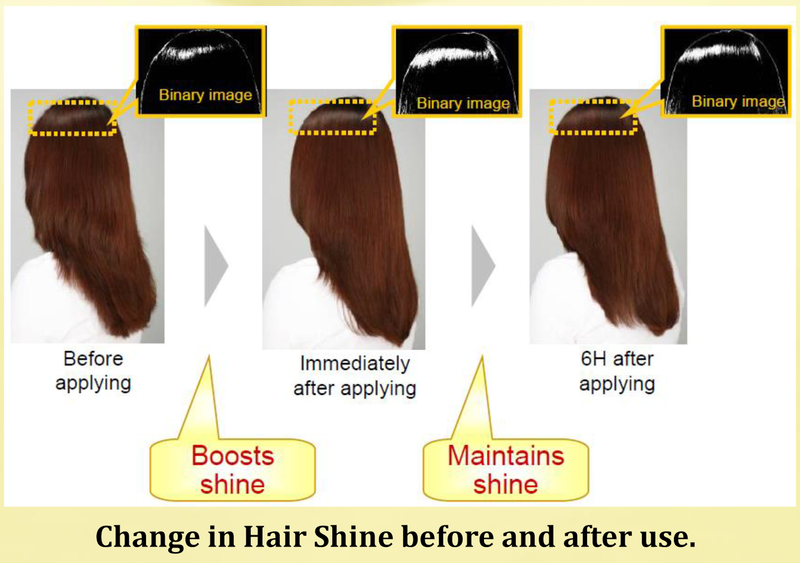 Start application from the damaged tips and gradually work upwards to the roots to avoid flat hair. Apply an appropriate amount to wet hair and dry it with a hair dryer. Then, spread a small amount onto the palms and apply on bottom half of the hair to reduce the volume. My original hair condition before any application. Applying it on my wet hair. 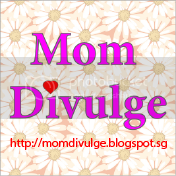 Can you see my hair becomes lighter and shiny? Like I mentioned earlier, the camellia fragrance is really nice and makes me feel fresh. I am surprised that this oil is not greasy at all. 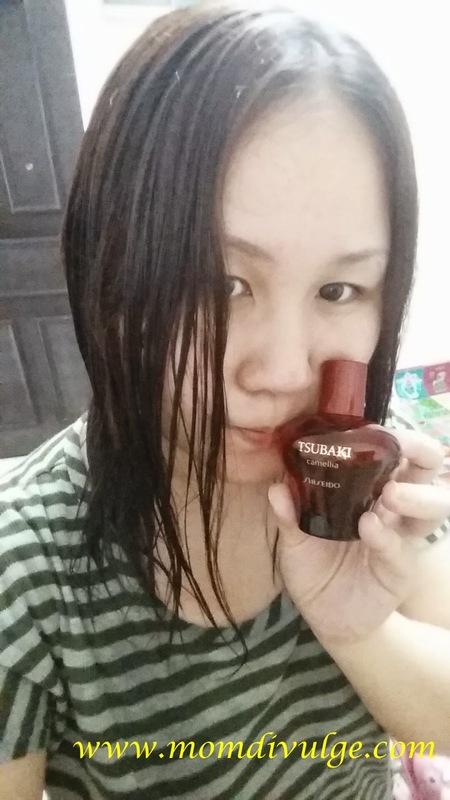 It is like liquid feel and absorbs into the hair very fast. 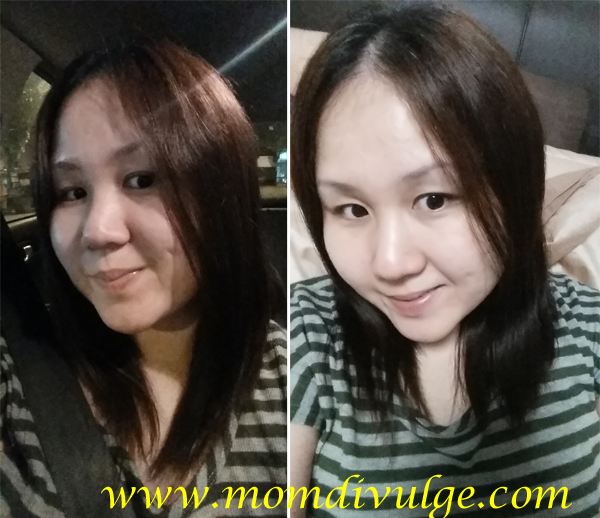 My hair becomes shiny, more manageable, smooth, lighter and less volume. 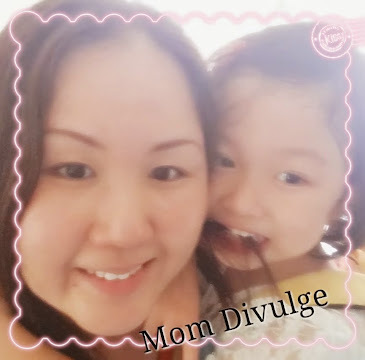 Say goodbye to dry, messy and unmanageable hair. Good news!! 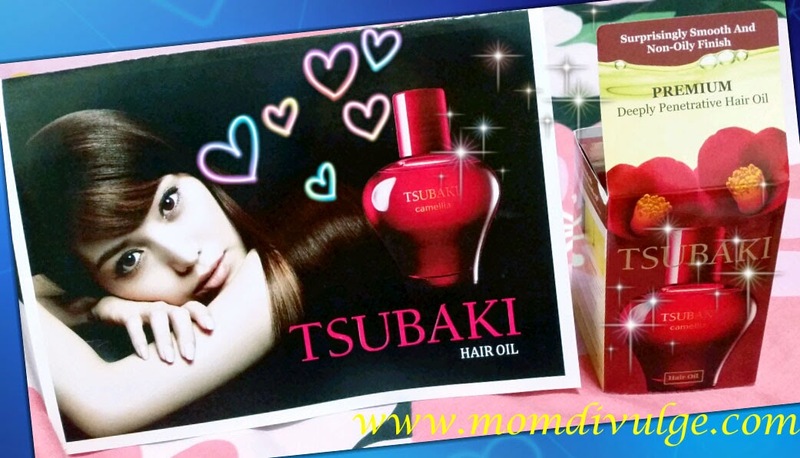 Tsubaki Hair Oil - 60ml, is available at $26.90 exclusively in Watsons from 11th September 2014 onwards!! Hurry grab as it is worth buying. 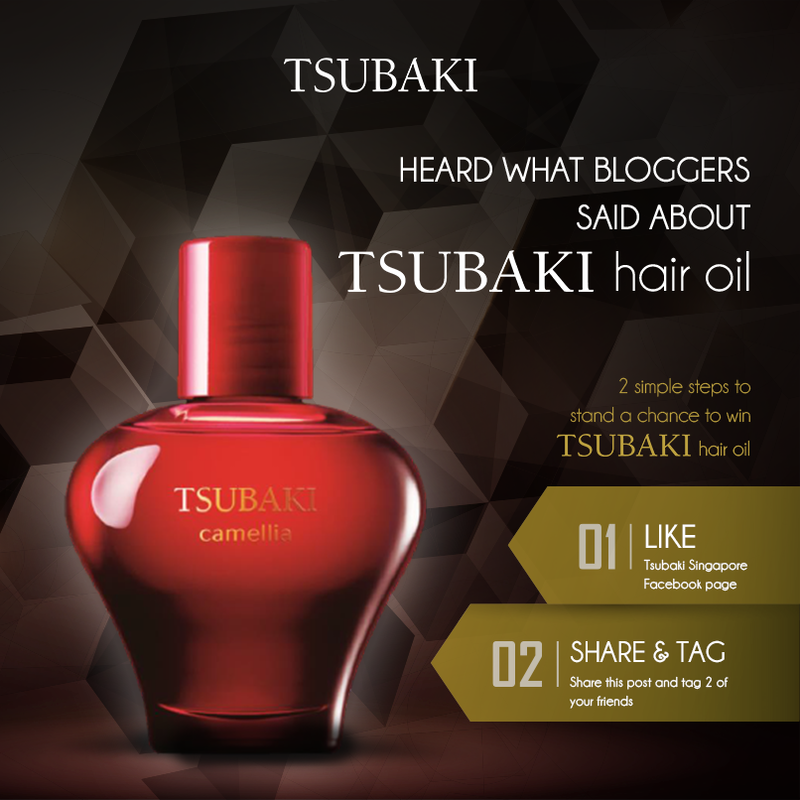 Want to win Tsubaki Hair Oil? Share the post and tag 2 of your friends. 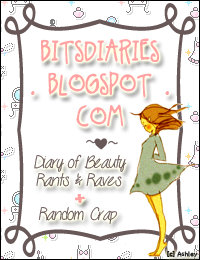 Do get your free sample of Tsubaki by register to get your freebies now.